Politicians like to spend money, but they generally don’t like to take from the people they have to face at the polls. This is why taxes on hotel rooms and rental cars are so high. One of the latest instances of this “tax the other guy’s voters” strategy is the tactic of charging higher highway tolls to out-of-state drivers than to local residents. But this approach has a legal Achilles’ heel: The Constitution grants only Congress the power to regulate interstate commerce. Past efforts to favor locals over out-of-staters have frequently been overturned by the courts. For instance, in 1985 a federal appeals court struck down New York’s attempt to give state vineyards a leg up by permitting the sale of wine coolers in supermarkets only if the products contained New York grapes. Wine coolers made with out-of-state grapes were relegated to licensed package stores. The court called the law “clearly protectionist” and unconstitutional. Of course, then-Gov. Mario Cuomo and lawmakers knew the law was unconstitutional when they passed it, but it scored them political points with New York’s wine industry. Protectionist wine laws made it to court again in 2005, when a U.S. Supreme Court decision struck down laws in 24 states barring interstate wine shipments but allowing shipments within state borders. It is not always legally objectionable to offer state residents a better deal than nonresidents. Consider the difference between in-state and out-of-state tuition fees at public universities, for instance. But convincing a court that such differentiation is constitutional is not easy. The highway toll system that dings nonresidents grew out of states trying to encourage drivers to use electronic highway toll payment methods, rather than cash. E-ZPass, which operates in 16 states, is one of the largest electronic toll payment systems in the country. Nearly 80 percent of drivers nationwide who use toll roads have an E-ZPass, and many states that participate offer lower fares for E-ZPass users as a means to encourage drivers to sign up. Even as some highways have gone cashless, transponders are usually still discounted compared to “toll-by-plate” alternatives. But this system opened the door for dinging out-of-towners, even if they had a transponder. Because the E-ZPass system operates across state lines, part of its appeal is making interstate travel simpler. But, as Renu Zaretsky observed in a column for the Tax Policy Center, states including Massachusetts, New Hampshire and Rhode Island charge higher tolls for drivers whose E-ZPass was issued by another state. Depending on the state’s system, this may come in the form of a lesser discount than residents receive, or no discount at all compared to drivers without an E-ZPass. Such an arrangement seems like a classic instance of politicians targeting people who are in no position to vote them out of office. Still, states are nervous about this gambit. When the Boston Globe questioned the constitutionality of Massachusetts’ toll structure favoring resident drivers, the state modified the system. Now everyone pays the same rate, regardless of their residency, as long as Massachusetts issued their E-ZPass transponder. Since a New Yorker or a New Hampshirite is perfectly free to obtain a Massachusetts E-ZPass, the state officials reason that this system should cause no constitutional problem. They may well be right. But there is a practical problem with this approach, even if there is not a legal one. Both New Hampshire and New York issue their own E-ZPasses. They too offer lower rates for passes issued through their own programs. This means that out-of-state drivers must either accept the higher tolls or acquire an array of transponders for the various states whose roads they may use. Picture what will happen when a New York driver approaching a Massachusetts toll booth suddenly realizes he needs to swap transponders to avoid being charged the higher rate. 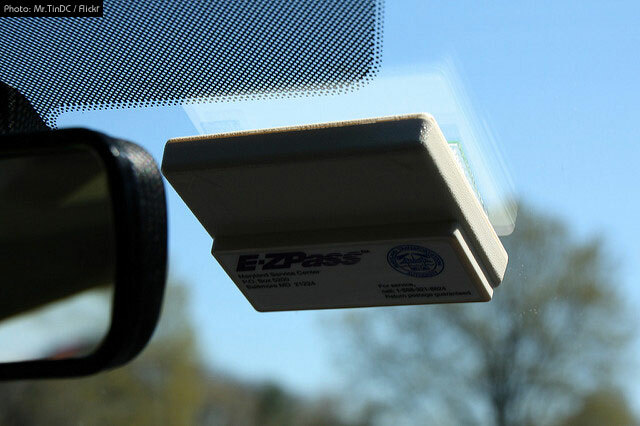 While maneuvering a two-ton vehicle at 65 miles per hour, the driver has to remove the New York E-ZPass, put it in a foil-lined container to prevent its being charged, fish the Massachusetts transponder out of a different foil-lined container and place it on the windshield before reaching the toll booth. Obviously a great idea. Yet this is the scenario promoted by two states that don’t allow handheld cellphone use while driving because of the dangers posed by distracted drivers. To add insult to injury, tolls collected by state agencies are not even the sole source of revenue that maintains these highways. All drivers pay federal highway taxes, which are used to maintain the New York State Thruway, the Massachusetts Turnpike and similar state-run toll facilities. So the out-of-state driver has already contributed to the costs of maintaining the road he’s charged extra for the privilege of using. Congress, or possibly the administration alone, could address this problem by docking federal dollars from states that pick on nonresidents this way. As a Floridian, whose state uses a different toll system that operates with simple windshield stickers sold at the same price to everyone, I like this idea. I like it even more when I drive one of my Florida cars back to the Northeast using my New York-issued E-ZPass and find myself paying higher tolls almost everywhere I go along the way.